Polex Environmental Engineering has launched a new range of portable fume and dust collectors designed for the collection of fumes, odours and dust in diverse applications. Introduced to coincide with NMW 2012, the new Australian designed eMission Control portable reverse pulse fume and dust collectors are multifunctional units that can handle all three applications unlike comparable units in the market that can manage a maximum of only two applications. 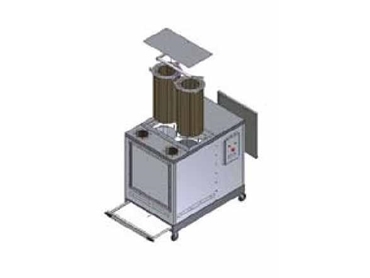 Suitable for use in manufacturing or fabrication facilities, eMission Control reverse pulse fume and dust collectors are supplied on castor wheels for portability and feature a width of 750mm to allow easy manoeuvrability through standard doorways. Fitted with a powerful 2.2 kW fan that produces up to 2400 m³/h @ 2500 Pa, the eMission Control’s compact size does not impact the performance. The competitively priced dust collectors are now available at an introductory saving of 25% off the normal price. Ezi-Duct will also give 25% off the price on Ezi-Arm fume arms for the NMW 2012. Polex Environmental Engineering is showcasing the eMission Control portable reverse pulse fume and dust collectors on Stand 2210 at the NMW 2012 being held from 8th May to 11th May at the Sydney Showground, Sydney Olympic Park, NSW.